This product can not be shipped to all locations. Use the form below to detmermine if we can ship this product to your location. Yes, this product can ship to your location. Sorry, we can't ship this product to this location. 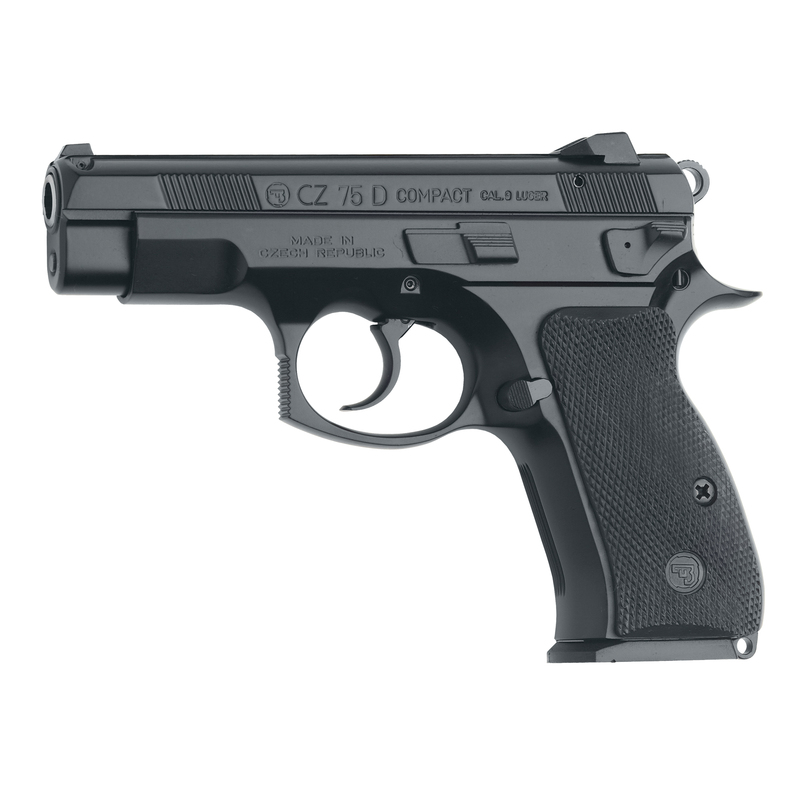 The CZ75D PCR model features an alloy frame, decocker, lanyard loop, fixed luminescent sights and two 15 round magazines. Comes with a hard carry case and manual. Looked everywhere for this CZ PCR before finding at TGS. I ordered it at 11:54am and I received notification of shipment the same day within 2 hours!! This incredible shipping was followed by a brief web conversation with Brad about the gun in general and he responded immediately. The gun is just what I wanted but the service at TGS was icing on the cake. Won't hesitate to order from them in the future. Terrific compact 9mm; the sights create a great sight picture, the trigger has a solid break, reset, and break once more. Nice size for conceal carry, and very affordable as well for a quality handgun. Working with Top Gun Supply in acquiring my CZ-75 D PCR Compact was swift, professional, and a very good experience. Shipping was prompt, and all communication was clear, concise and timely. If looking for a compact at a reasonable price; no matter whether it’s for conceal carry, personal protection, or range use the CZ-75 D PCR is a great choice. The quality of the sights, trigger, smoothness of operation, make this a great compact pistol. Well done CZ! The CZ-75 platform is unquestionably among the best in firearms, and the 75D PCR does not detract from that. Flawless performance. The usual CZ quality in a compact format. All the product descriptions state that it comes with 2 14-round magazines, but mine (2) each came with 2 15-rounders. Another plus! I handled my purchase over the phone and the Top Gun Supply staff was the best. The process was friendly and fast. This wasn't my first purchase with Top Gun, and it certainly will not be the last. Thanks! if any one looking for a GREAT deal TopGun is what u looking for!!!! i found HK p30s for a great price!! !...thanks TOPGUN!! !